The Quebec Provincial Election will be held on October 1, 2018 which is akin to our Gubernatorial election this November. There hasn’t been much in the US media about this election, other than the recent broadcast by Mountain Lake Public Television of a debate amongst the four main parties. Astrid Van Wieren In "Come From Away"
On March 12th of this year the new musical “Come From Away” opened at the Schoenfeld Theatre on Broadway. The show, written by David Hein and Irene Carl Sankoff went on to earn 7 Tony Award nominations - including Best Musical - and to win one for Best Direction of a Musical for Christopher Ashley. 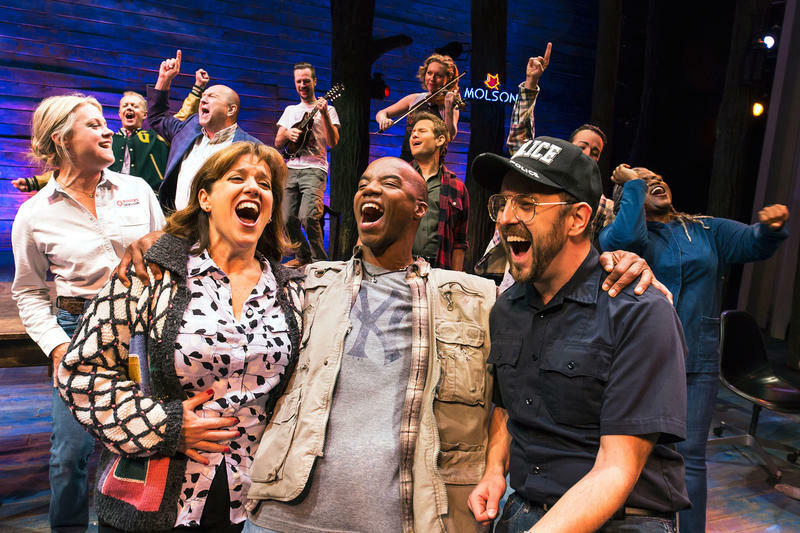 "Come from Away" is based on true events that took place in Gander, Newfoundland, Canada on September 11th, 2001. 38 planes were diverted from their original paths and forced to land in Gander. The planes carried passengers from all over the world; scared, confused, and all-but cut off from their loved ones the accidental visitors - or “come-from-aways” as the Newfoundlanders call them - nearly doubled the population of the region for the better part of a week. The locals opened their doors, pantries, hearts, and minds until the airspace was reopened. 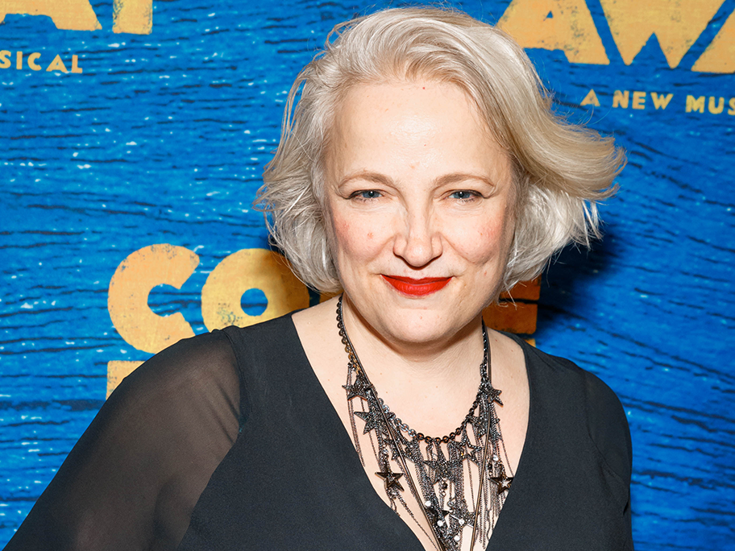 The 12 actors in "Come From Away" each play multiple Newfoundlanders and "plane peple" and we are joined today by Astrid Van Wieren who has been with the show - as much of the cast has - since its early development. 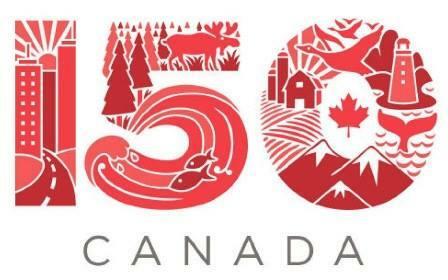 Canada Day is July 1st and this year the country is celebrating its 150th Anniversary of Confederation. On Saturday, Quebec Culture Specialist and Foreign Language Consultant David Graham will lead a discussion in Plattsburgh on Canadian history. He says he will look at the country’s history from Quebec’s perspective because that province is an essential part of Canada’s history. We are all familiar with the children’s playground equipment known as a teeter-totter. As I pondered Mr. Trump’s Canadian policy, that toy came to mind. During the presidential campaign, Mr. Trump touted the fact that he would tear up NAFTA or renegotiate it. Following the election, he doubled down with little or no substance nor indication as to what his actual concerns or plans were. The selection of Mr. Ross as secretary of commerce and Mr. Navarro as a trade advisor brought a decidedly hostile view of trade agreements to the administration. The atmosphere at the White House appeared cordial with the Prime Minister wearing a charming smile which appeared to coax the President out of his usual scowl. Former New York Congressman Bill Owens was a member of the Appropriations Committee and subcommittees on Defense and Homeland Security during his six years in the House. 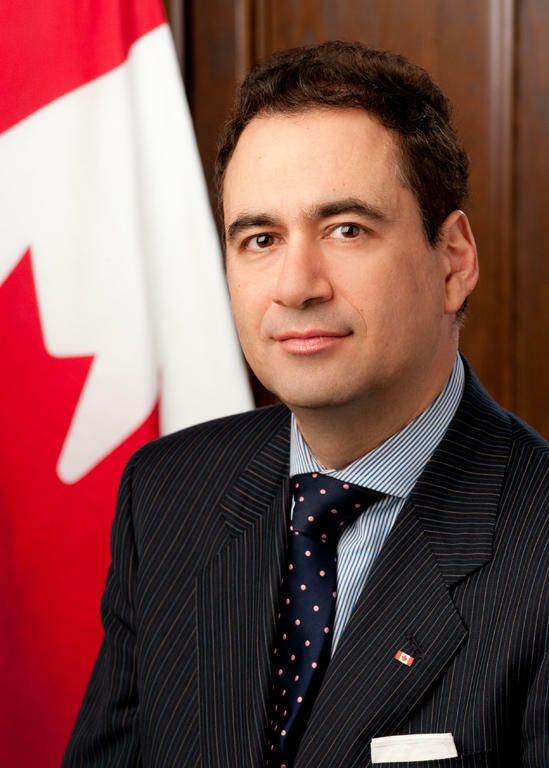 He now works as an attorney and consultant on U.S.-Canada relations. The Democrat tells WAMC’s North Country Bureau Chief Pat Bradley that Canadians are closely watching the transition of government in Washington. New York U.S. 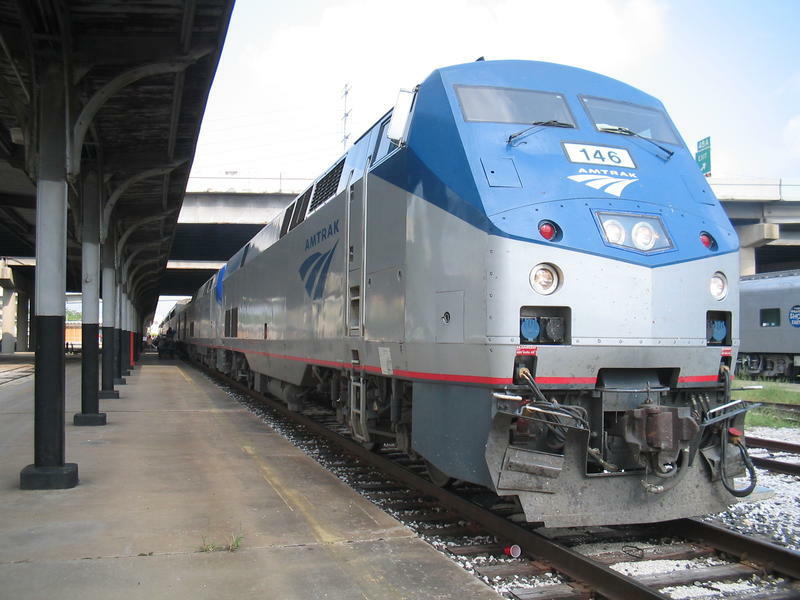 Senators Charles Schumer and Kirsten Gillibrand, as well as Northern New York Congresswoman Elise Stefanik, have announced the passage of a bill they say would save hours of delays at Northern Border crossings. President-elect Donald Trump’s plans for his first 100 days include his intention to renegotiate or withdraw from NAFTA, the North American Free Trade Agreement with Mexico and Canada. The United States’ largest trading partner has already initiated conversations with the newly elected leader about the importance of Canada to the U.S. economy. People close to the border are watching closely. Bill Owens: Moving To Canada, Eh? Let me start by saying to those of you who have dual citizenship, please take note! We are jealous. 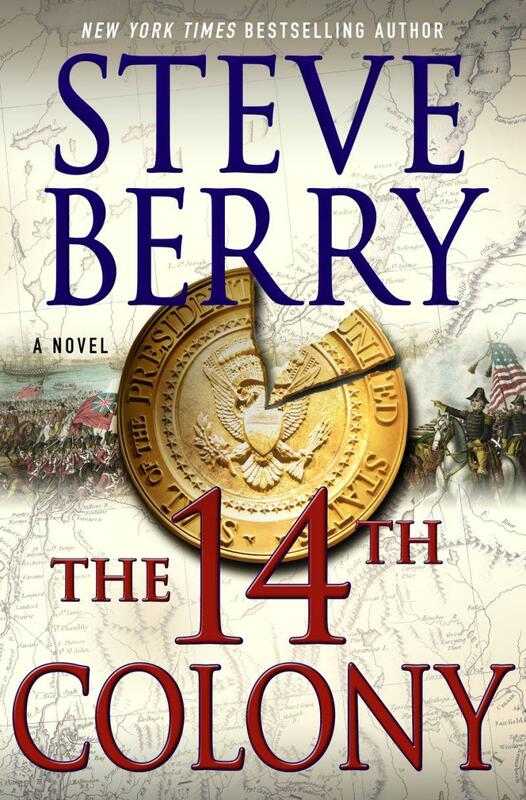 Steve Berry is the author of fifteen historical novels. His latest, The 14th Colony, deals with presidential succession, potential disaster at the inauguration, and a real plan, never carried out, to invade Canada and make it The 14th Colony. Berry’s protagonist, Cotton Malone, must stop disaster before it happens, which is only a few hours away. In November, Justin Trudeau was sworn in as Prime Minister of Canada after defeating Stephen Harper in a surprise landslide. Relations between the U.S. and the former Canadian leader had been lukewarm and cross-border visits by the heads of state were rare. But that may be changing. 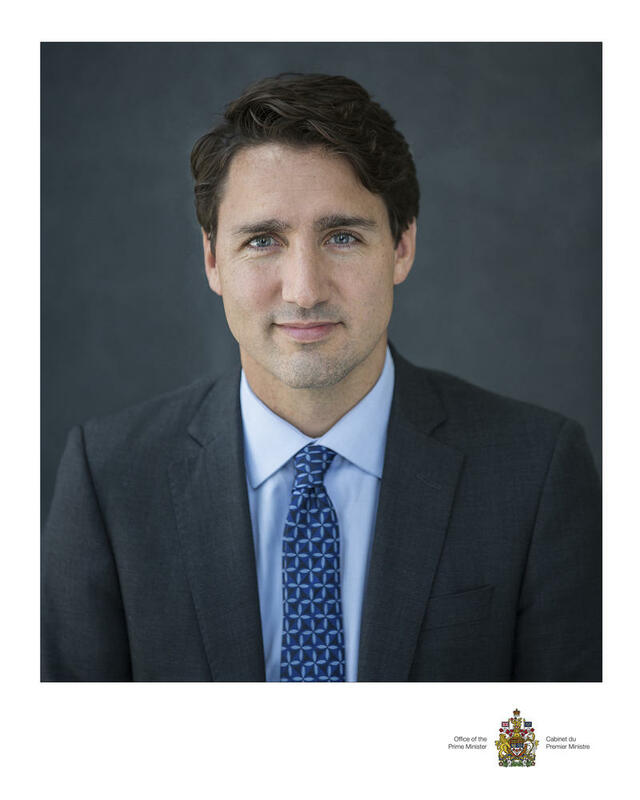 Prime Minister Trudeau will travel to Washington this week for a state visit. 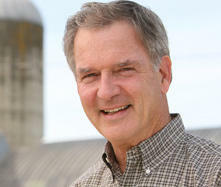 Former North Country New York Congressman Bill Owens was co-chair of the congressional Northern Border Caucus while in office. He currently is an advisor on cross border commerce and policy. Owens, who will attend the opening reception for Trudeau in Washington, discussed the importance of the visit to WAMC’s North Country Bureau Chief Pat Bradley. The Canadian federal election was held Monday Oct 19. For most Americans, the response might be: who knew? The St. Lawrence International Film Festival will go beyond all borders from Ottawa and Brockville, Canada into Canton and Potsdam, New York. They are celebrating cinema with over 25 films, 7 panels, and 8 special screenings over four days from October 22nd to October 25th. The schedule includes an opening gala featuring a 35th Anniversary Screening of The Blues Brothers, a panel about Digital Shorts and the new media of laughter, a panel about James Bond, short film programs, narrative features, and much more. 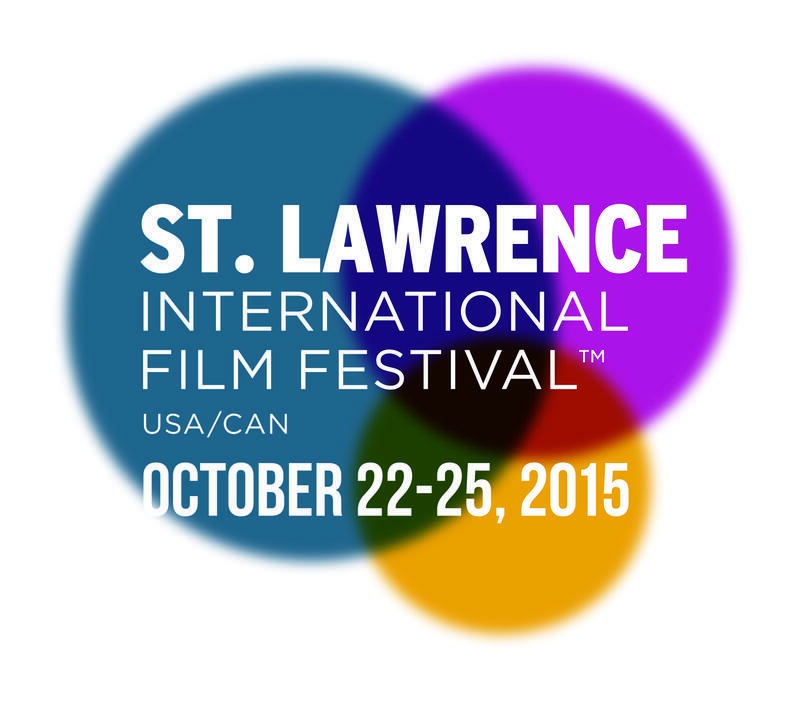 Adam Paul is the Executive Director and Founder of The St. Lawrence International Film Festival and he joins us. Canadian voters have ended nearly a decade of conservative leadership under Prime Minister Stephen Harper. Liberals will form a majority government under the leadership of Justin Trudeau. As WAMC’s North Country Bureau Chief Pat Bradley reports, the election has been observed closely by political and business interests near New York’s border. It's known as the world's friendliest border. 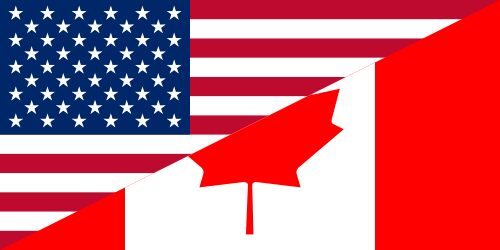 Five thousand miles of unfenced, un-walled international coexistence and a symbol of neighborly goodwill between two great nations: the United States and Canada. But just how friendly is it really? 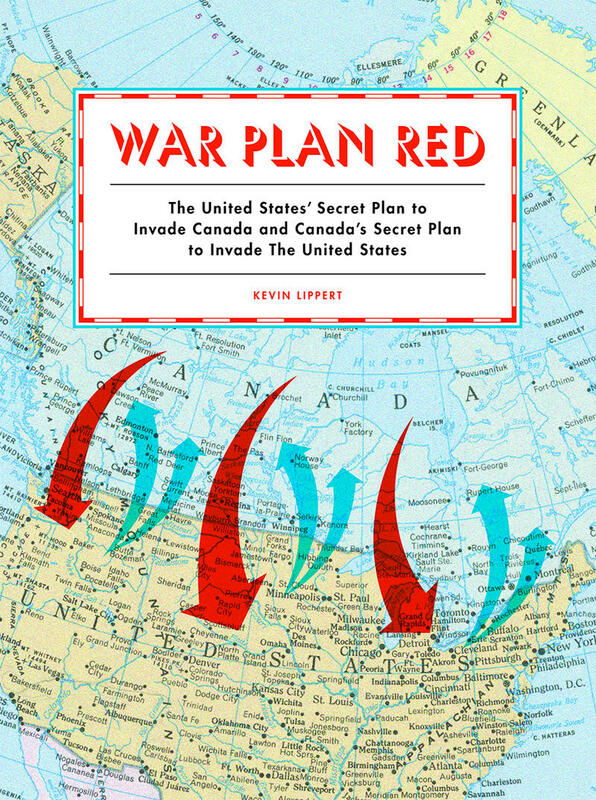 In War Plan Red, the secret "cold war" between the United States and Canada is revealed by Kevin Lippert. From the "Pork and Beans War" between Maine and Newfoundland lumberjacks, to the "Pig War" of the San Juan Islands, culminating with excerpts from actual declassified invasion plans the Canadian and U.S. militaries drew up in the 1920s and 1930s – Lippert looks at the ever-evolving history of North American continental relations. Kevin Lippert is the founder of the Princeton Architectural Press, which he has run for the past 34-years. Building a fence between the U.S. and Mexico is a familiar topic in our presidential politics. But what about the Canadian border? On Meet the Press this weekend, Republican candidate and Wisconsin Governor Scott Walker made comments that raised concerns among northern border interests. As WAMC’s North Country Bureau Chief Pat Bradley reports, people near the border say the comments are evidence of general lack of knowledge about our northern neighbor. 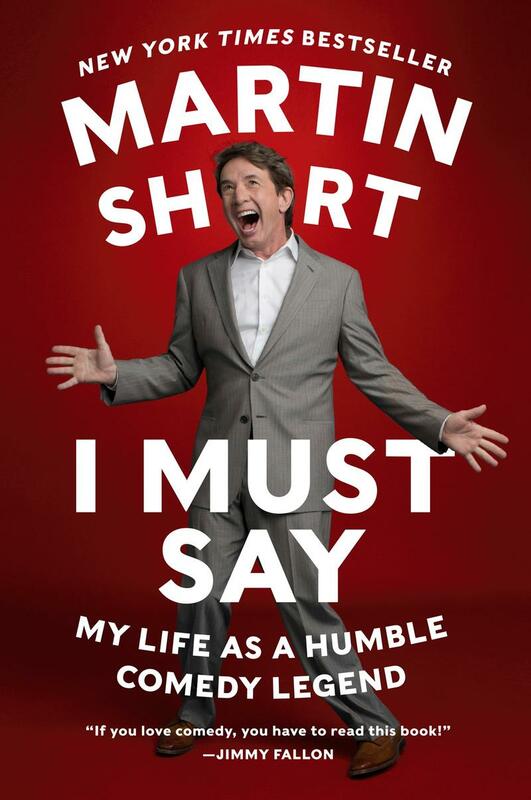 In his memoir, I Must Say: My Life As a Humble Comedy Legend, Martin Short writes about his early years in Toronto as a member of Second City to the all-American comic big time of Saturday Night Live and memorable roles in movies. He also writes about the creation of his lasting characters - and about his personal life which includes the loss of both of his parents before the age of 20. From cross-border trade to security, New York’s northernmost communities strive for close ties with our neighbors to the north. The Consul General of Canada in New York delivered the Distinguished Canadian Address last night for the Center for the Study of Canada at SUNY Plattsburgh. In a letter to the Canadian ambassador, Sens. 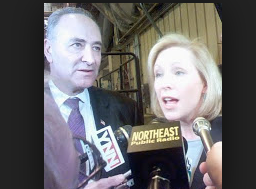 Charles Schumer and Kirsten Gillibrand say raising Canada's threshold from $20 per shipment up to the U.S. level of $200 for imported goods shipped home would have "a significant and positive impact" on U.S.- Canada trade. Today's panelists are WAMC’s Alan Chartock, Times Union Associate Editor Mike Spain & Albany Journalism Professor and Investigative Reporter, Rosemary Armao. New York’s border with Canada is a major issue for the 21st Congressional district. In today’s Congressional Corner, Republican candidate Elise Stefanik tells WAMC’s Alan Chartock retiring Congressman Bill Owens deserves credit for his attention to border issues. Shocking new revelations about Toronto Mayor Rob Ford, his family and associates by the Toronto Star reporter who has closely covered Ford’s career. 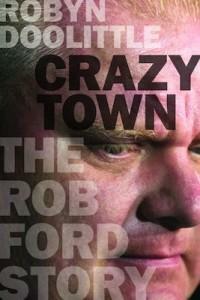 Crazy Town: The Rob Ford Story, by Robyn Doolittle, will chronicle Ford’s ascent from a flamboyant city councillor to a mayor embroiled in controversy. 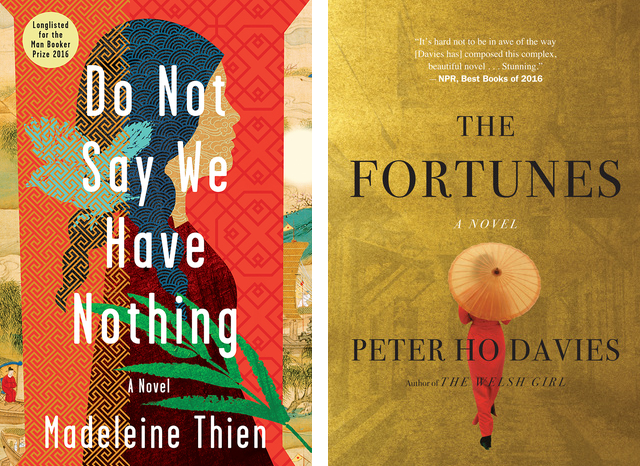 After two acclaimed historical novels, one of Canada’s most celebrated writers now gives us the contemporary story of a man studying the suddenly confusing shape his life has taken, and why, and what his responsibilities—as a husband, a father, a brother, and an uncle—truly are. 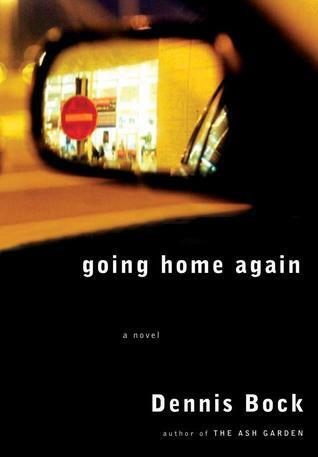 Dennis Bock’s new novel is Going Home Again. 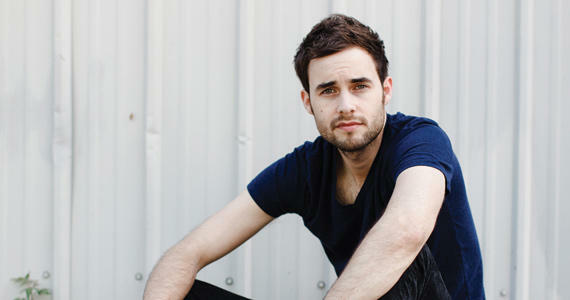 Tim Chaisson's U.S debut The Other Side was released on February 26, of this year and was called "a handsomely crafted piece of work" by The Guardian. The album won the East Coast Music Award for Roots/Traditional Solo Recording of the Year. A few weeks ago, the native of Prince Edward Island, Canada, was scheduled to come play live and record an interview with me - but on that day - I all-but-lost my voice. Not wanting to subject Tim (or listeners) to an aggravated croak of an interview - we asked if he’d come in and just play. What we have to share with you now, is the 4 song set Tim played at The Linda with his cousin, Cody Chaisson, joining him on mandolin. 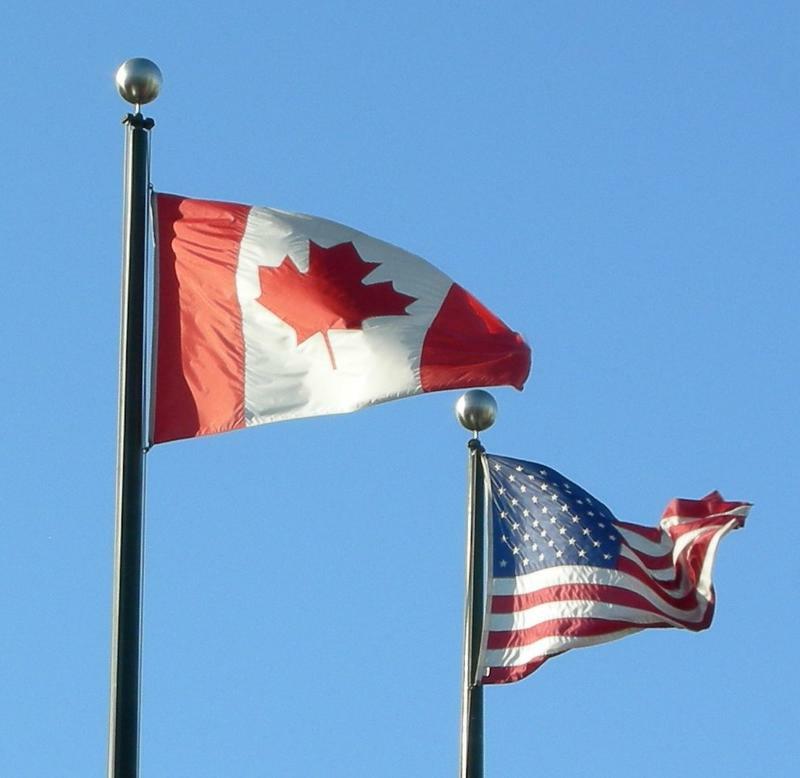 Trade between Canada and the U.S. is vital to both countries. In today’s Congressional Corner, New York Representative Bill Owens tells WAMC’s Alan Chartock that he is working to make the trading process between the nations smoother. This weekend, Jacob’s Pillow Dance and MASS MoCA co-present world-renowned contemporary ballet ensemble Les Ballets Jazz de Montréal at MASS MoCA’s Hunter Center. The Montréal-based dance company blends a variety of dance styles, influences, and music in three diverse works by prominent, international choreographers. This co-presentation coincides with the final month of MASS MoCA’s Oh, Canada exhibit, the largest survey of Canadian contemporary art ever produced outside of Canada. Ella Baff, Jacob’s Pillow Executive and Artistic Director, and Sue Killam, Director of Performing Arts at MASS MoCA, join us to tell us more. Ophira Eisenberg will perform in Club B10 at MASS MoCA in North Adams, MA this Saturday, August 18, at 8pm. 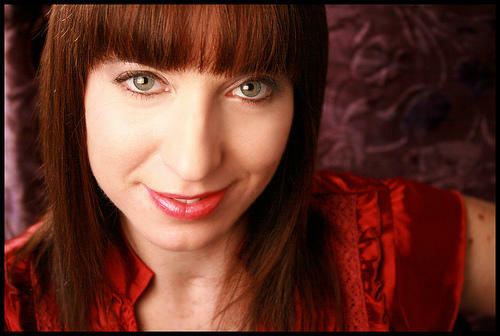 Ophira is a stand-up comic, actress, storyteller, and the host of NPR's Ask Me Another. The Moth story that we reference in this interview is on YouTube, here. **From Sarah LaDuke: This story is likely to make you feel feelings. You have been warned. Richard Ford is one of America’s most highly revered writers. His book, Independence Day , was the first to receive both the Pulitzer Prize and the PEN/Faulkner Award.